So cold it would be painful to breathe says ScienceAlert. 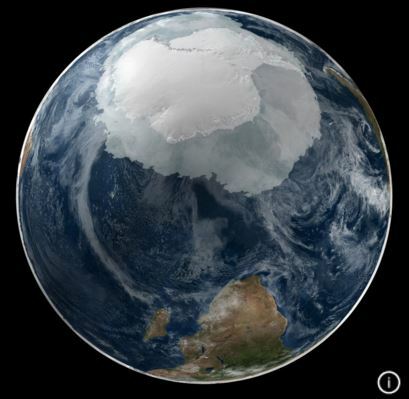 Just how cold can it get on Earth? Colder than we thought, apparently. 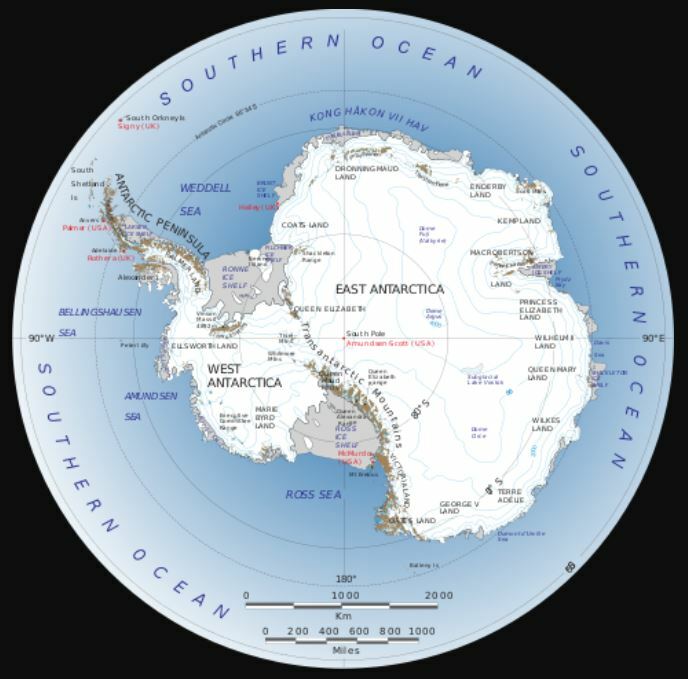 A new study of satellite data reports that valleys in Antarctica’s ice sheets can reach close to minus 100 degrees Celsius (or minus 148 degrees Fahrenheit). The conclusion offered here is that ‘something must be fundamentally wrong with the climate models, for their predictions to be so far off from the observed sea ice trends’. No wonder climate alarmists focus on the Arctic. 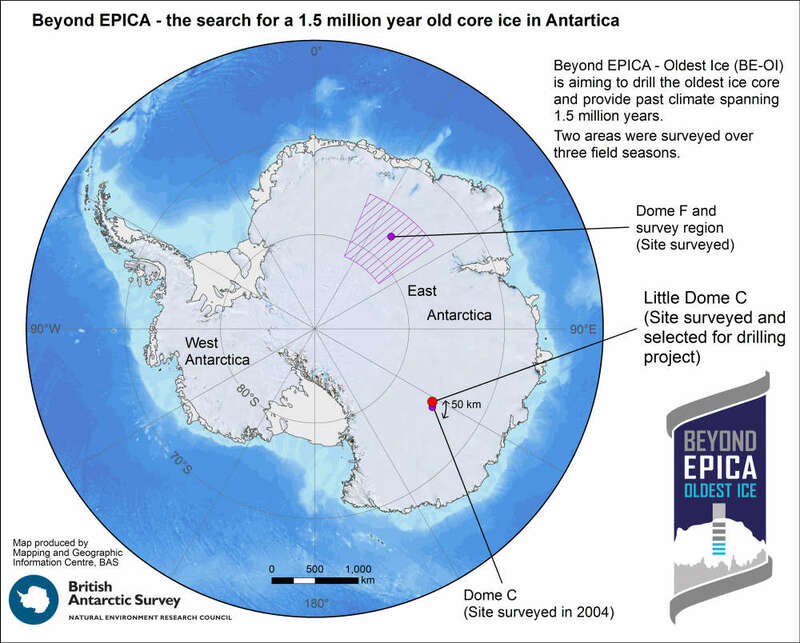 Over the past several years, many researchers have examined the spatial extent of sea ice around Antarctica, says CO2 Science, consistently reporting an increasing trend (see, for example, our reviews on the previously published works of Yuan and Martinson, 2000, Watkins and Simmonds, 2000, Hanna, 2001, Zwally et al., 2002, Vyas et al., 2003, Cavalieri et al., 2003, Liu et al., 2004, Parkinson, 2004, Comiso and Nishio, 2008, Cavalieri and Parkinson, 2008, Turner et al., 2009, Pezza et al., 2012, Reid et al., 2013, Reid et al., 2015, Simmonds, 2015, He et al., 2016 and Comiso et al., 2017). The latest study to confirm this ongoing expanse comes from the South American research team of De Santis et al. (2017). Not the first time something like this has happened, and probably not the last. 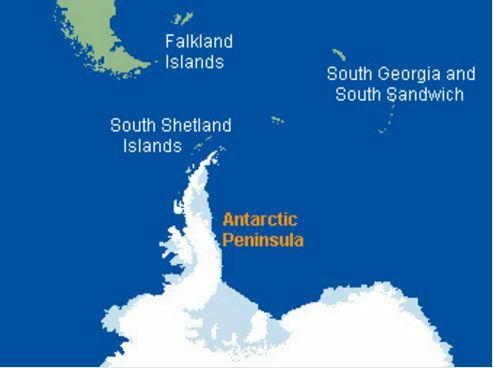 The UK-led expedition to the waters around the world’s biggest iceberg is forced to turn around, reports BBC News. 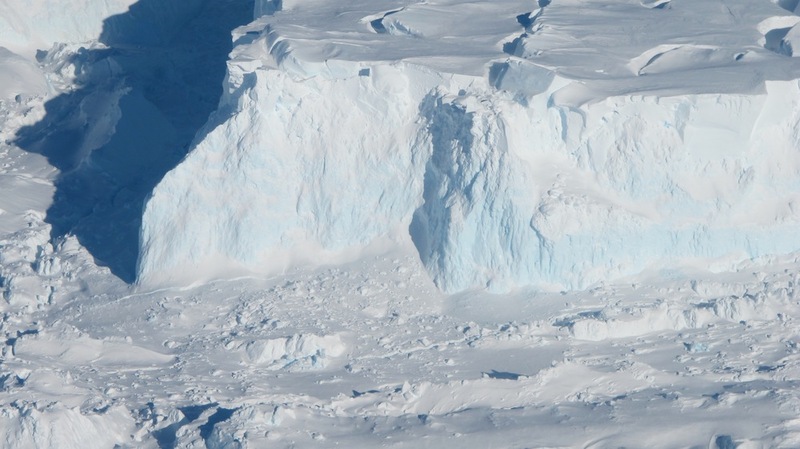 Scientists have had to abandon their plan to investigate the waters around the world’s biggest iceberg. Some parts of the media may try to give a different impression, but El Niño/La Niña events are natural phenomena with a range of consequences. 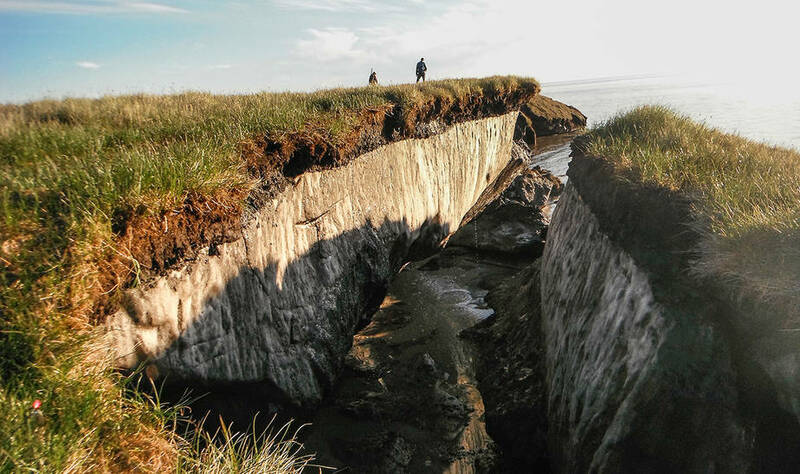 A new study published Jan. 8 in the journal Nature Geoscience reveals that strong El Niño events can cause significant ice loss in some Antarctic ice shelves while the opposite may occur during strong La Niña events, reports SpaceRef. 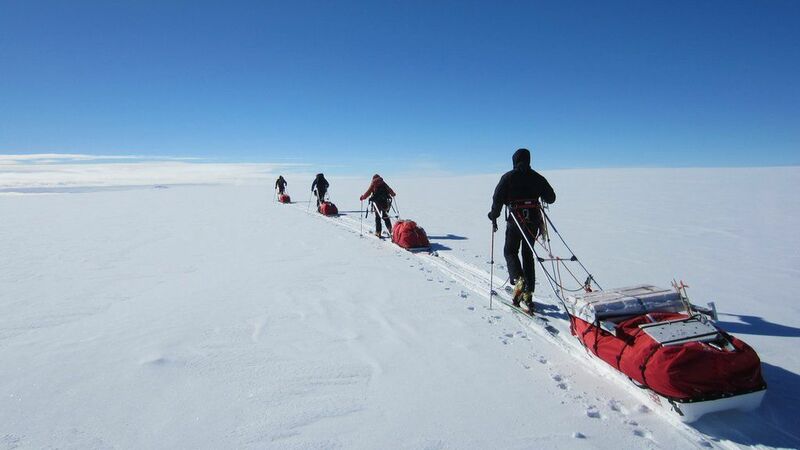 We’re told: ‘Environmental champion, who was first person to walk to both poles, uses Antarctic trek as green wake-up call.’ But who really needs to be woken up? 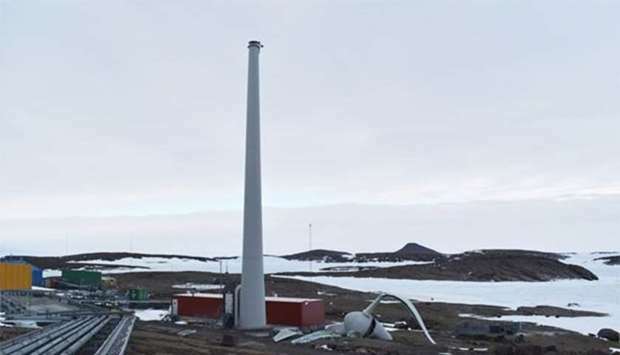 The polar night means Antarctica is a dead zone for solar power for six months of every year, highlighting the fact that part-time sources of electricity can never be relied upon. “Thirty years ago, I was the first person in history perhaps stupid enough to walk to the North and South Poles,” renowned British explorer Robert Swan, 61, tells IBTimes UK. But that is exactly what he is going to do. Researchers plan to camp near this shallow pond for six weeks starting in December, to get detailed measurements of its liquid and explore the local area. At the base of the Transantarctic Mountains lies a geological oddity, reports Hannah Hickey at UW News. 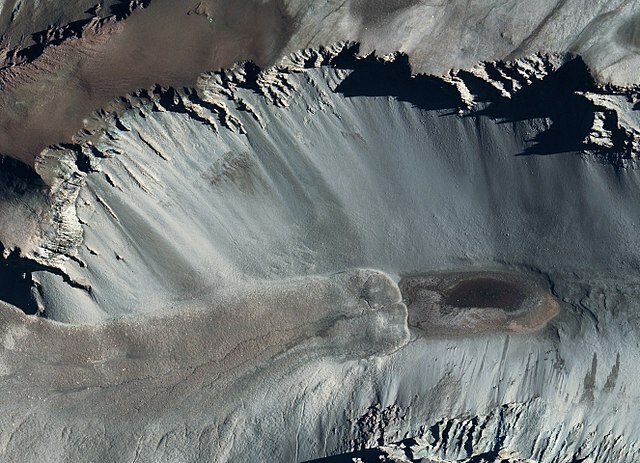 Don Juan Pond is one of the saltiest bodies of water on the planet, filled with a dense, syrupy brine rich in calcium chloride that can remain liquid to minus 50 degrees Celsius, far below the freezing point of water. But the source of water and salt to this unusual pond remains a mystery — even as hints emerge that water in a similar form could exist on Mars. A new University of Washington study uses the pond’s bizarre chemistry to pinpoint the water’s source. 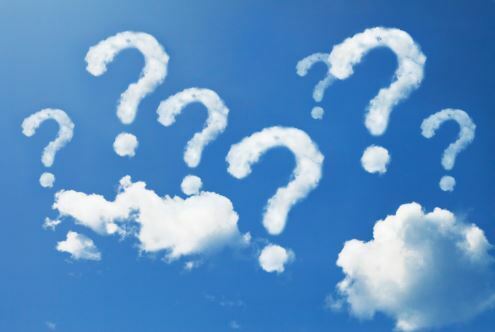 Another alleged climate alarm looks more like a damp squib, undermined by new research. Glacier flow at the southern Antarctic Peninsula has increased since the 1990s, but a new study has found the change to be only a third of what was recently reported, says Phys.org. 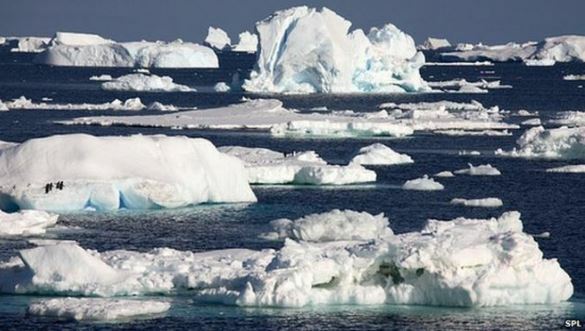 An international team of researchers, led by the UK Centre for Polar Observation and Modelling at the University of Leeds, are the first to map the change in ice speed. 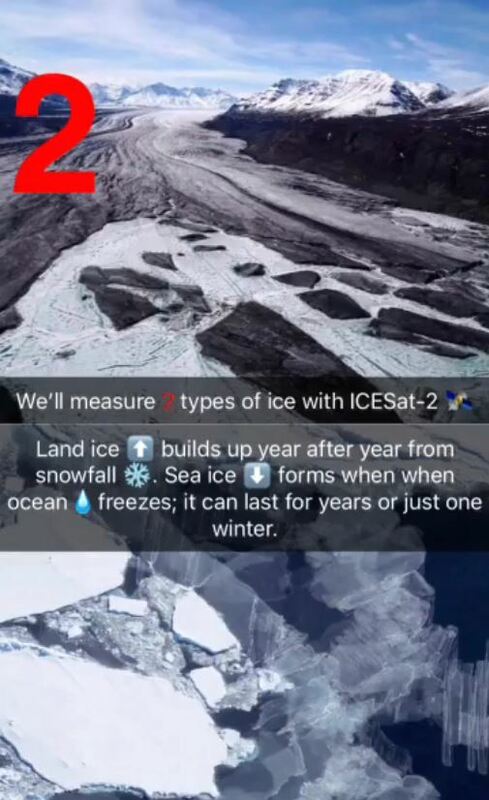 The team collated measurements recorded by five different satellites to track changes in the speed of more than 30 glaciers since 1992. The findings, published today in Geophysical Research Letters, represent the first detailed assessment of changing glacier flow in Western Palmer Land—the southwestern corner of the Antarctic Peninsula. Funny how decades of increasing seasonal sea ice in the Antarctic were ignored or somehow explained away, but a glimmer of a retreat and it’s banner headlines everywhere. Confirmation bias? Let’s see whether we get a multi-year trend along the same lines in this region. If not it will look like a one-off weather pattern, as seems very possible. 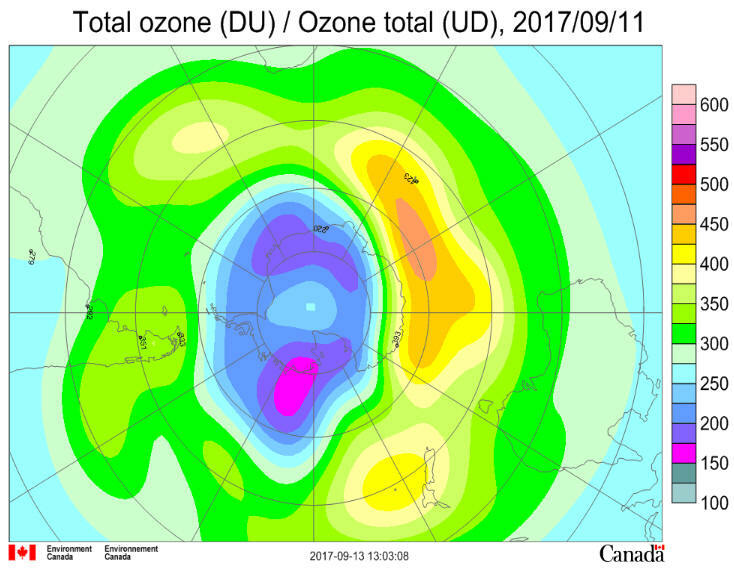 While Arctic ice extent has been at low levels lately, coincidentally, strange things have been going on down under. 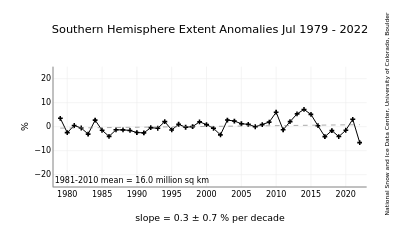 Bucking the trend of recent years when Antarctic sea ice extent has been steadily rising, it has dropped away in the last few months. 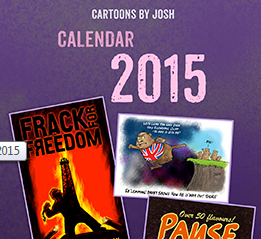 Naturally this has led to the alarmists having a field day. 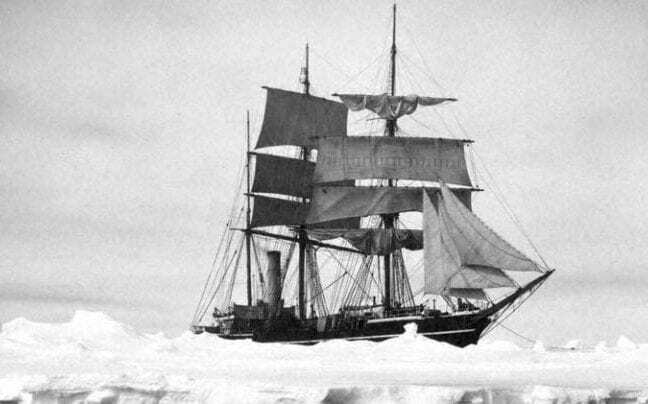 I have, however, used the word “coincidentally” deliberately, as there is no evidence whatsoever that the Arctic and Antarctic events are connected. Or that the latter has anything to do with global warming.